In this issue, I touch on some technological advances that may help to keep us fed in our increasingly poisoned, allergen-laden, and shrinking environment. Read on to learn how bees with backpacks can help save our food chain, how a new drug may lessen food-bourne anaphylaxis, and how plant-based heme can make your veggie burger taste like real beef! Before we move on, I wanted to share the results of my poll. It looks like the majority of you would like a weekly Newsletter. I’ll try to do even better by including three articles this week — enjoy! As you may have heard, bee populations, which we rely on to pollinate our crops, are plummeting. Fortunately, technology is coming to the rescue by gluing tiny QR Codes to bee’s backs! Robotic cameras track the movement of individual bees. Researchers learn about the dynamics of whole colonies exposed to neonicotinoid pesticides. 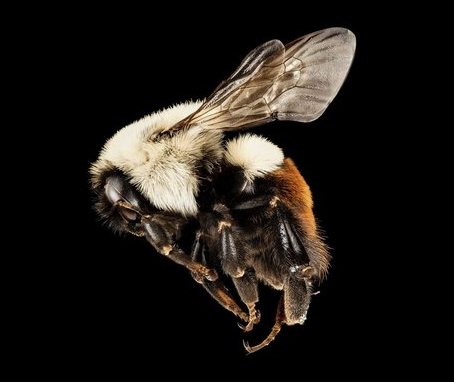 You might not see a dead bee in 24 or 48 hours, but still, you’re seeing important behavioral shifts over time that lead to impaired colony function and growth in the long run, says Harvard biologist James Crall. Infected bees are less active and may not coddle larvae as well, thus endangering their health. Good news: But with novel techniques like this, scientists are getting a better grasp of what’s putting them at risk. A bit of good news, perhaps, on a planet gone mad. I bet we all know people who are allergic to peanuts and tree nuts. They don’t even serve tiny packets of peanuts on airlines these days. Peanut allergies are believed to cause more deaths from anaphylaxis, an acute allergic reaction, than any other food allergy. 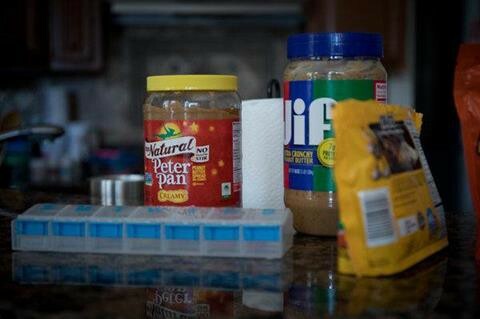 Good news: An oral immunotherapy regimen promises to reduce children’s sensitivity to peanut allergens by gradually exposing them to peanut protein over six months. It’s not a cure, but it should reduce the risk that accidental exposure to trace amounts will trigger a life-threatening reaction. Perhaps the time has come to scale up fake meat to help stave off climate change. Meat production uses up land and spews methane by the kiloton, accounting for about two-thirds of all greenhouse gas emissions from agriculture. Yes, there appears to be a much more efficient way to grow protein that would lessen our agricultural carbon footprint. We’re not talking “chicken” made from soy (tofu or tempeh) or wheat gluten (seitan). Good news: Fortunately, several companies are working on this problem. 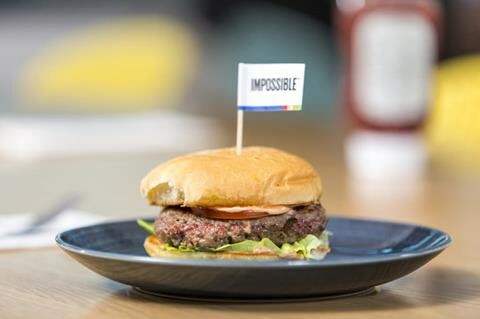 The one that drew my attention is the Impossible Burger. It is an entirely plant-based “meat” that looks, smells and tastes like beef — it even bleeds like meat! It is based on an engineered yeast, modified to carry genes for the soy leghemoglobin protein, which gives it the vegetarian version of heme, the metallic-tasting substance that makes beef burgers so yummy! Are you hungry now? I hope you were encouraged by this good news to help combat world hunger. P.S. SUBSCRIBE TO THE EMAIL NEWSLETTER HERE and forward to your friends. I scour the Internet for good news, so you don’t have to! Sign up for the email newsletter at www.MilitantOptimist.com.